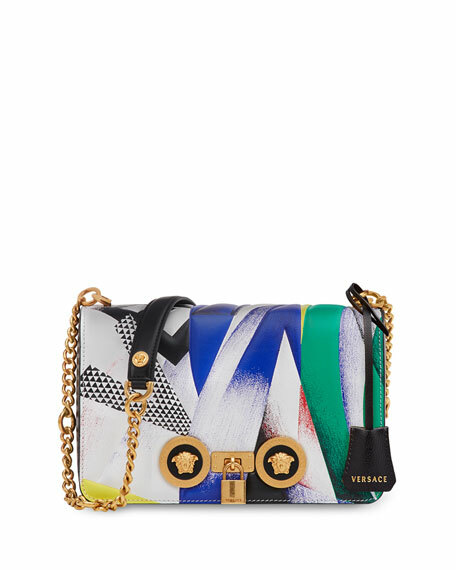 Versace crossbody bag in painted clash-print calf leather. Chain and padded shoulder strap. Flap top with Medusa head medallions; turn-lock closure secured by padlock. Exterior, logo hanging covered key at top. Interior, fabric lining; one card slot. 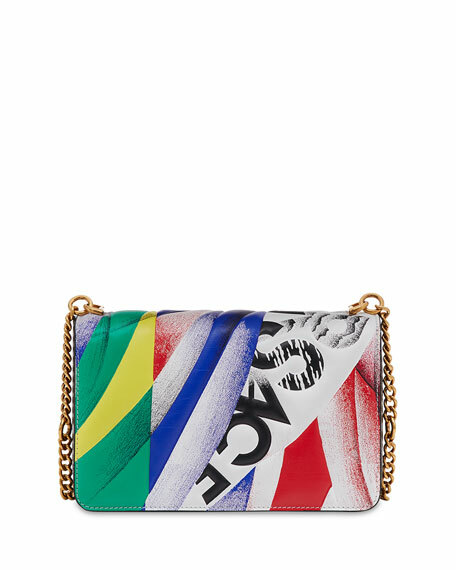 "Icon" is made in Italy. For in-store inquiries, use sku #2690870.